UPDATED, June 14, 5:38 p.m.: Brooklyn tenants are suing their landlord Silvershore Properties for alleged harassment. The buildings are part of a 57-property portfolio Silvershore is trying to sell. According to the tenants, the real estate investment firm left some rent-stabilized tenants without heat, gas or hot water and in some cases failed to renovate damaged units or deal with vermin infestation. 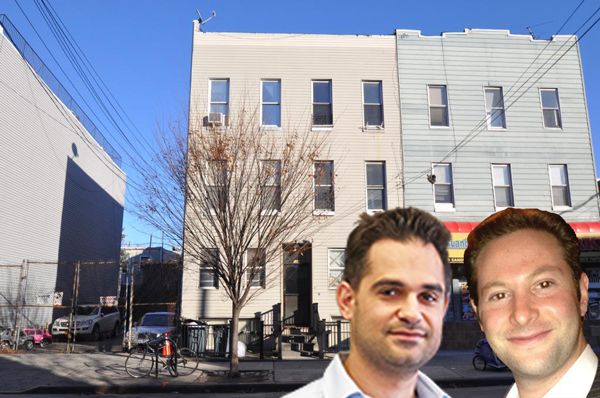 DNAinfo reported that the suit claims residents at 196 Kingsland Avenue in Greenpoint who refused to sign buyout deals for their stabilized leases have been living without gas since January. Silvershore’s Jason Silverstein disputed the accusations. He told The Real Deal that the Department of Buildings shut off the gas in January in response to a building violation by the property’s previous owner, but that Silvershore restored heat and hot water within 72 hours by switching to an oil boiler, offered all tenants electric stoves and that the dispute is about cooking gas. He also claims that Silvershore has only received one lawsuit to-date, from tenants at 196 Kingsland. Silvershore put up 44 buildings for sale in March and increased that to 57 in May. The “Brooklyn legacy” portfolio, marketed by Cushman & Wakefield, 430,615 square feet and more than 400 rental apartments. All buildings are in Brooklyn except for one property in Long Island City. Silverstein said 196 Kingsland will be removed from the portfolio until the dispute is resolved.